We hope you've recovered from 2016 because 2017 isn't going to be any less frenetic as far as smartphone releases go. One of the first flagships out of the gate could well be the HTC 11, building on the excellent (if underappreciated) work that went into last year's HTC 10. In fact we've seen two new handsets from HTC already in 2017 - the Galaxy Note-esque U Ultra and the more modest, mid-range U Play. They might also give us a few clues about what HTC has in store when it gets around to updating its main flagship. The ancestry of HTC's flagship line isn't quite as well defined as it is for some other manufacturers out there, but the HTC One (M7) is a good starting point, a phone that was unleashed on the world in March 2013. It's successor, the HTC One (M8), arrived the following March, with HTC settling into a rather confusing pattern of giving each successive handset the same moniker, plus a tacked-on codename just to help us out a little bit. You don't have to cast your mind back all that far to remember the HTC One M9, with that codename actually graduating out of the brackets for a change - the phone appeared at the start of March 2015, and we'd got to the stage where HTC flagship phones were turning up like clockwork every year. Then came last year's rather impressive HTC 10: the "One" was dropped, the announcement date slipped to April, but it was a fine phone that ticked all the right boxes. 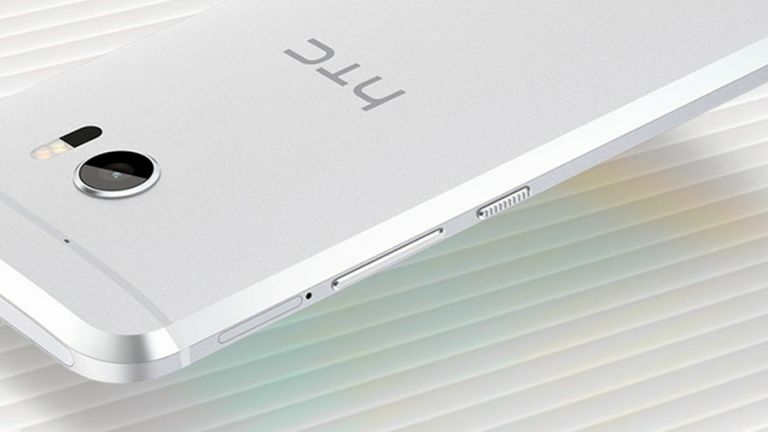 Sales haven't been setting a blistering pace though, so what's HTC doing for a follow-up? We've just had a brace of new handsets appear from HTC, a company which obviously means business in 2017: the HTC U Ultra and HTC U Play don't appear to be replacements for the HTC 11, but rather alternatives to it. One's a large 5.7-inch phablet and one's a smaller mid-range phone which suggests the HTC 11 will be neither. Both feature an all-glass, sculpted "design language" that HTC is calling "liquid surface" - it looks great in photos but may be a bit too much of a fingerprint magnet for most (see also: the jet black iPhone). Will the HTC 11 follow this lead or stick with the metal unibody of the HTC 10? Right now we suspect the latter but it's by no means impossible that HTC will decide to go for this curved, shiny look for all of its 2017 handsets. Also of note was the Sense Companion unveiled by HTC - basically its own version of Siri or Google Now - which will almost definitely appear in the HTC 11, ready to give you traffic and weather warnings, and respond to any of your queries, at a moment's notice. As we've already mentioned, HTC's launch dates for its flagships have been very regular in recent years - the last four phones have come in March or April, and so it seems a pretty good bet that we're looking at March or April again this time around. Mobile World Congress, the biggest phone show of the year, is happening at the end of February and this could well be when the HTC 11 breaks cover. HTC was at MWC last year, but focused on the HTC Vive rather than any new smartphones. We've already seen a couple of leaked promo videos appear, suggesting that a launch is indeed set for the next month or two - intriguingly, there's a glimpse of an HTC Vive-branded phone, as well as a rather novel input method where you use the sides of the phone to control menus and scrolling. Could the HTC 11 be the HTC Vive phone? It's possible, but whatever the case, it seems as though we won't have to wait long to see what HTC has been working on. As well as borrowing the Sense Companion from the HTC U Ultra, the HTC 11 could also make use of a similar second display - a ticker at the top of the front screen for the most important of notifications. It's certainly something that's been rumoured. The same videos that showed us the HTC Vive branding also hinted at plenty of customisation options, covering materials as well as colours - it may well be that when the HTC 11 arrives you can very much make it your own. Most speculation is pointing to a phone with a 5.5-inch, 1,440 x 2,560 pixel display. Apparently there's going to be a Snapdragon 835 CPU inside - definitely set to be the processor of 2017 - and maybe as much as 8GB of RAM. With very little in the way of camera upgrades between the HTC 10 and the HTC U Ultra, it's possible that the HTC 11 will come with pretty much the same setup as its predecessor - a 12-megapixel camera with HTC's advanced UltraPixel technology to get the most out of it. Samsung vs HTC vs Huawei vs LG vs OnePlus: who makes the best Android skin? Not all Androids are created equal.